The common objective of all Bachelor’s degree programmes in the field of Computer Science Engineering is to give graduates basic professional training in the field, so as to allow them to carry out tasks related to the design and development of appliances and information systems. All of the activities carried out as part of the degree are done so while ensuring their reliability, security and quality. In addition, graduates will gain the skills necessary to enable them to plan, carry out and manage projects and information systems. Generally, Bachelor’s degree programmes in the field of Computer Science Engineering aim to give students the skills [in Spanish] required to exercise the profession of Computer Science Engineer, these are outlined in the Decision of the Board of Universities [in Spanish], published in the Official State Gazette no. 187 of the 4th of August 2009. To give students the capabilities to be able to specify, model, design, implement, test, integrate, configure, maintain and evaluate the performance of large scale IT installations, as well as each of their constituent parts. To give students a sound understanding of the techniques, devices and tools used in the specification, design, installation, debugging, maintenance and evaluation of the performance of computer hardware and its most common peripherals. To give students skills in the software development of systems, which enables them to effectively manage the hardware resources of an IT system.To enable them to design diverse network architectures, to gain an in-depth knowledge of issues related to networking devices, the means and protocols regarding transmission and the operating systems that make up computers. To enable students to design software applications specific to the industrial field based on embedded hardware. 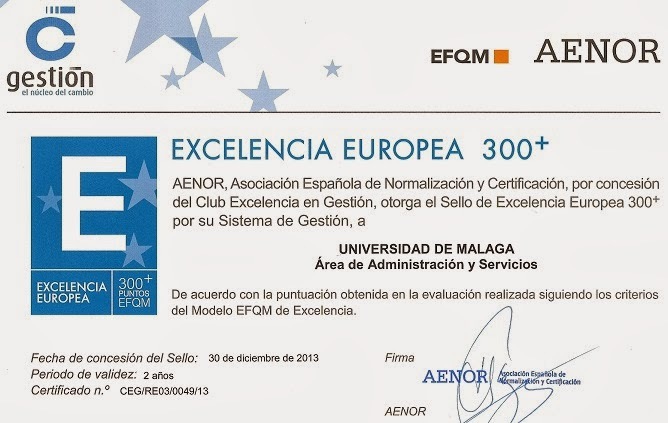 Degree’s Official Accreditation [in Spanish]. Additional desirable skills and competences included. /cms/secciones/ajax/insertar_seccion/ /cms/secciones/ajax/borrar_seccion/ /cms/secciones/ajax/editar_seccion/ /cms/secciones/ajax/mover_seccion/ Are you sure you want to delete this section? 72391 You are about to cancel the edition. All your changes will be lost. Do you want to cancel and lost your changes?